Alain Sevilla is a founding partner of HEPTAGONE Digital Risk Management & Security.His career was based in the both the national army and the Gendarmerie Nationale in France, which he left in 2014 with a rank of Colonel, in order to set up HEPTAGONE Digital Risk Management & Security. A man of action, a certified member of the elite Parachutiste division and a commando instructor, he has taken on all gendarmerie command duties whether mobile, departmental right up to a regional level. He has in particular developed his expertise in the areas of information, legal investigations in the fight against delinquency, organized crime and cyber criminality. An engineer from the Special Military School of Saint Cyr, of the “Grande Année” promotion, he has a university degree in electronics, mathematics and automated systems, as well as obtaining a specialist higher studies diploma (DESS) in the law of “defence and security”. 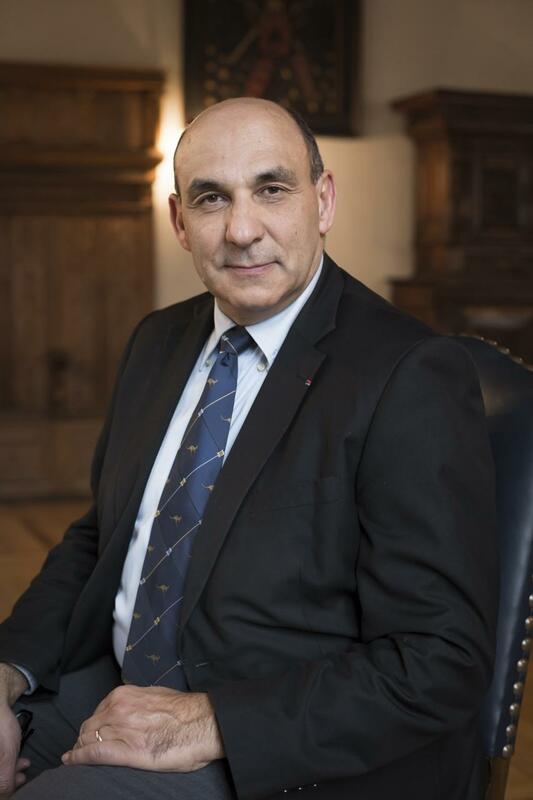 He has also acted as the auditor of the 162nd session of the Institute of Advanced Studies in National Defence (Institut des hautes etudes de la Defense Nationale) of the European College of Security at Brussels, in 2010, and for the Cycle supérieur de management pour décideurs et grands décideurs of the Ministry of Defence. Moreover, in 2011, Alain Sevilla joined the “civilian response team” of the European Commission as an expert in “criminal investigations and organised crime”. Within HEPTAGONE Digital Risk Management & Security, Alain SEVILLA is responsible for all technical and audit activities in matters relating to security and cyber security. He is also responsible for investigation and digital forensic services. He is a co-director of the firm’s investigation service. Educational and other professional activities. Director of the European Centre for Research and Analysis on Cyberthreats (CERAC in French) at Strasbourg University, Alain SEVILLA is a part time lecturer; he has responsibility for the “Cyber threats” modules in the Masters 2 “electronic commerce” and “law of the digital economy” at Strasbourg University as well as the Master 2 “extended audit of corporate information systems” at the University of Paris Dauphine. He also acts in various universities, both in France and abroad, and conducts conferences and training in cyber-criminality in Europe, Africa or in South East Asia. Finally, Alain SEVILLA is a scientific advisor for the DELFICO (financial delinquency and organised crime) at the CEFTI (Centre for financial and engineering techniques studies) at Aix en Provence university. « Les impulsions électromagnétiques » (mémoire de fin d’études d’ingénieur). « Le droit d’usage des armes : du temps de paix aux situations d’exception » (mémoire du DESS en droit). « La lutte contre l’économie souterraine: une action interministérielle concertée pour un champ répressif élargi. « L’Amérique latine : enjeu de la nouvelle donne géostratégique et géopolitique mondiale » (publication collective revue IHEDN-2007). « L’entreprise face aux cybermenaces », (cours de master 2 au profit des Universités de Strasbourg et Paris Dauphine). Organiser of the 2nd European Congress of the DELFICO research group “Organised crime, money laundering and the underground economy” at Toulouse in 2003, presided by Mr. Philipe Douste Blazy (former Minister of foreign office and Mayor of Toulouse), speaker at the 3rd DELFICO congress at Monaco in October 2011. Co-organiser of the “Regional Cybercrime Workshop” in Singapore in July 2012 and in Kuala Lumpur in 2013 “Cybercrime links with terrorism” for the police and gendarmerie forces of the ten ASEAN countries. Speaker at the seminar organised by the General Directorate of the Algerian National Gendarmerie “influence of new technologies on juvenile delinquency”, Algiers, June 2013. – Médaille d’argent de la Défense nationale (1995).